East vs West. Who's the best? For far too long, the Eastern part of Singapore has been portrayed as the more hip and happening of the two. But surprise surprise - the Western part of Singapore is home to plenty of attractions as well. 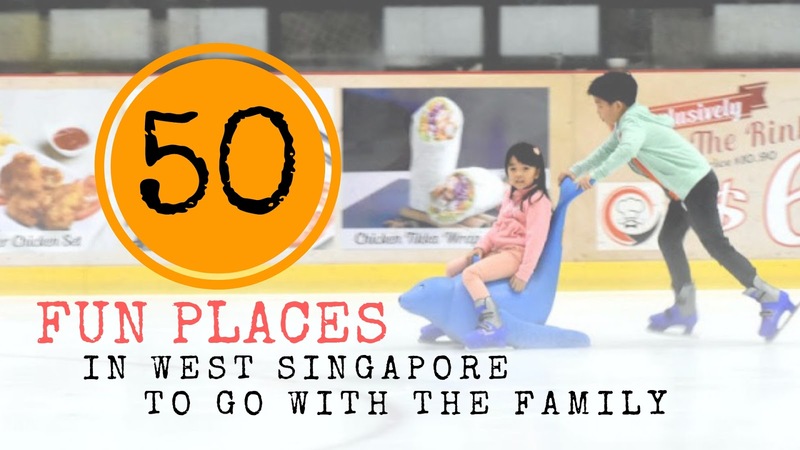 And if you have kids, you will be pleased to know there are loads of fun attractions to keep them occupied every weekend for more than 3/4 of the year! So here they are: all 43 50 of them, segregated into different categories like Educational Experiences, Sport Activities, Animal Encounters, Farms, Nature, Indoor Playgrounds, Outdoor Attractions and even Unique Experiences. Places that you can explore in Western Singapore with the family, with more than 60% of them costing absolutely NOTHING! Billed as Singapore’s first science centre catering specifically for children between 18 months and 8 years old, KidsSTOP’s entire area comprises of a whopping 17 feature areas, carved into 4 main interactive zones: Imagine, Discover, Experience and Dream. Each area comes with a different theme that takes children through a discovery of both the natural and man-made world. Part Indoor Playground and part make-believe Fantasy-land, kids will get to imagine, experience, discover and dream about the world around them through a mixture of role-play and hands-on tinkering. 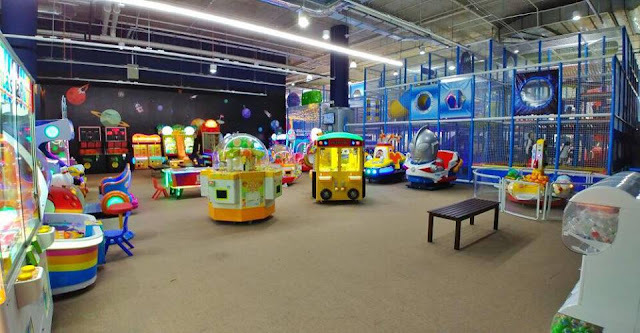 WHY KIDS WILL LOVE IT: Just about everything appeals to kids because the BIG difference about KidsSTOP compared to the original Science Centre is that all of exhibits are truly set up with the younger crowd in mind. There are no bombardment of difficult-to-grasp theories, just exhibits and contraptions that evoke the joy of playing and interaction in children. Also, if the main area seem to be too crowded for your child's liking, head to the inner rooms where the Critters, Kiddie Theatre and Math areas are. Chances are they will be much quieter, and are just as fun too. With more than a thousand interactive exhibits spanning 14 galleries, Science Centre Singapore forms an integral component of every parent’s growing up memories. And the great thing about the Science Centre is it continues to stay relevant to the children of today by regularly updating its exhibits. Trek to the centre of the earth, squeeze your way through the human body’s digestive system or probe within a leaf litter at the EcoGarden - there is always something new for kids to explore and learn every visit. Oh, and did I mention entry is FREE for all Singaporeans and Permanent Residents during off-peak days? WHY KIDS WILL LOVE IT: Take a break from the hands-on activities by heading to the Omni-Theatre, Singapore’s only IMAX dome theatre, which features a 5-storey high dome screen that immerses you into the action. Depending on the shows at the time of visit, one can watch saber-toothed and woolly mammoths come to live on the massive screen, or go eye to eye with a menacing shark. With 20 zones spread over two floors, the Lee Kong Chian Natural History Museum traces the history of life on Lee Kong Chian Natural History Museum earth - from the microscopic to the enormous, and from the awkward to the awesome. Three dinosaur skeletons form the highlight of the museum. WHY KIDS WILL LOVE IT: Your kids will be excited over the Lee Kong Chian Natural History Museum, thanks to its three sauropod dinosaur fossils from the Jurassic period. The adult dinosaurs, measuring 24m and 27m respectively, have been nicknamed Apollonia and Prince, while the baby dinosaur called Twinky is 12m long. Together, they will be the centrepiece of the new museum’s gallery, and the highlight for kids fascinated with dinosaurs. Previously known as Memories at Ford Factory - or more recently, Syonan Gallery - the Former Ford Factory is the site of the surrender of Singapore by British forces to the Japanese Imperial Army. Re-opened in February and a national monument, its contents have been revamped and now features refreshed content and a new focus. WHY KIDS WILL LOVE IT: The gallery highlights a new area of focus for the exhibition by looking at the impact of the war and the Occupation years, including the immediate and longer-term legacies of this period on Singapore and the region. Although some of the displays may be somewhat complex for younger kids, there are a number of exhibits that kids can interact and learn more about Singapore's war hostory. An ‘edutainment’ centre that examines Singapore’s past, present and future, the Discovery Centre is a hands-on experience ideal for kids. Test your knowledge of Singapore food, culture and customs in the quiz-show style Harmony Circle, or be part of Command HQ for a day and try out Singapore's first immersive 3rd Generation SAF game designed for the public. Learn traditional dance moves at the Digital Dance Studio, or challenge yourself to think smart and act fast at the Crisis Timescope exhibit to save Singapore from a bomb blast at an MRT station. There is even a 4D Simulator ride, movie theatre and Shooting Gallery where kids can put their shooting skills to the test using a modified SAR21 rifle or SIG SAUER P226 pistols. WHY KIDS WILL LOVE IT: Army buffs will be able to hop on the SAFTI bus and take a tour of SAFTI Military Institute. This bus tour brings you around the 98-hectare training ground for officers from Singapore's Army, Navy and Airforce. Head HERE for timings. Showcasing the pride of Singapore's military forces, the Army Museum of Singapore pays tribute to the numerous men and women who have served the country. Various exhibitions honour the contributions of soldiers and show far the Singapore Army has come since the independence of Singapore. Immerse in the special effects show that brings you close-up to the Army’s capability, and try hand at shooting an assault rifle at the Individual Marksmanship Trainer. WHY KIDS WILL LOVE IT: The little ones though, will be charging right at the Adventure Park situated outdoors. Modelled after the Standard Obstacle Course in the Army, they will have a wild and fun time going through the 11 obstacles which have beem scaled down for children under 14 years of age. Bukit Chandu (Opium Hill) was the site of one of the last battles in Singapore. The battle lasted 48 hours and the 1st and 2nd Battalions of the Malay Regiment bravely but unsuccessfully attempted to defend the hill in the Battle of Pasir Panjang against Japanese in 1942. 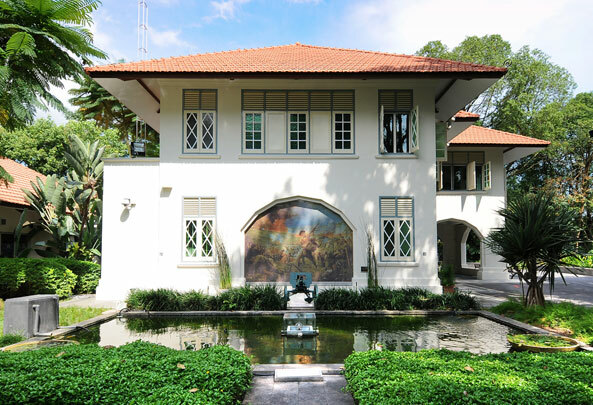 Housed in a restored black and white colonial bungalow close to the former battle site, the centre is a place for visitors to reflect upon Singapore’s heritage of heroism. WHY KIDS WILL LOVE IT: The centre combines first-hand accounts, personal artefacts, maps and historical footage to recount the brutal fall of Singapore. In particular, Reflections pays homage to the heroism of ‘C’ Company, 1st Battalion in their battles against the Japanese at Bukit Chandu. The story of 2nd Lieutenant Adnan Saidi is also highlighted as he had foiled Japanese attempts by disguising themselves as Punjabi troops and inspired his men to fight to the very end. Their courageous defence of Bukit Chandu cost the Japanese many lives. 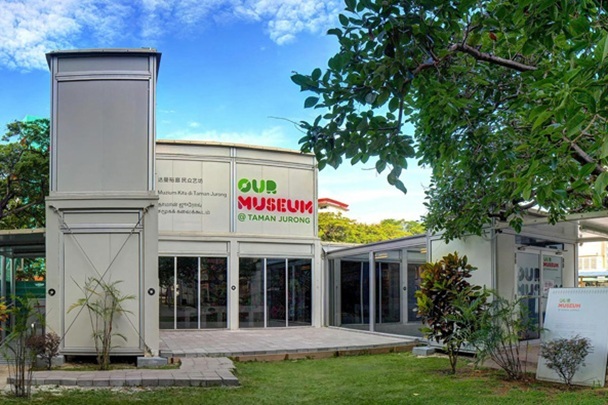 Our Museum @ Taman Jurong is the first community museum in Singapore. It showcases artworks and personal memories co-created by the residents of Taman Jurong, schools in the Jurong district as well as volunteer groups in the community. Our Museum also includes galleries which focus on the community’s history and heritage. WHY KIDS WILL LOVE IT: Kids can participate in weekly craft activities and story-telling sessions. The Our Museum exhibition also refreshes quarterly and this offers opportunities for residents and volunteers to work with local artists to co-create artworks for the museum. Unless you are staying in the West, this swimming complex is not exactly in the most accessible location. But rest assured that your journey to the West will be well worth the effort, for there is a huge Savanna-themed Water Play area which comes complete with two slides, water fountains amid lots of jet water streams. For older children, there is the three-storey tube slide (Min. height of 1.2m) where one gets to slide through the snaking blue tube over the kiddy Water Play area and landing with a giant splash at the end of it all. WHY KIDS WILL LOVE IT: Deriving great joy in drifting along the Lazy River! Jurong residents are extremely lucky when it comes to water parks because they have got two water theme parks to choose from! Jurong East Swimming Complex comes complete with a giant wave pool, lazy river, Jacuzzi with bubble jets, and a children’s water play area. But nothing can be compared to the three towering water slides that almost intertwine with one another. A bonus is the presence of KFC for those feeling famished after a day of fun. WHY KIDS WILL LOVE IT: The towering water slides, for sure! Choa Chu Kang’s Wave Pool ranks as one of the best that we have experienced. The waves were strong enough but yet still suitable for children to have fun all by themselves. For younger kids, there is an adjoining pool beside the Wave Pool with a small inlet for the waves to enter. As a result, the waves are gentler and more suited for younger kids who do not want to miss out on all the fun too! There is also a partially sheltered water playground, winding lazy river, Jacuzzi pools and the mandatory three-storey twirling closed tube slide (Min Height 1.2m) tucked away at the far end of the swimming complex. Feeling peckish? Fuel up at the cafe located within the swimming complex. WHY KIDS WILL LOVE IT: The Wave Pool definitely takes the cake, even for me. Amped Trampoline Park, the first of its kind in Singapore, is THE place to go to for the children to jump, bounce and hurl themselves against the wall. Well, not literally for that last point but close enough. 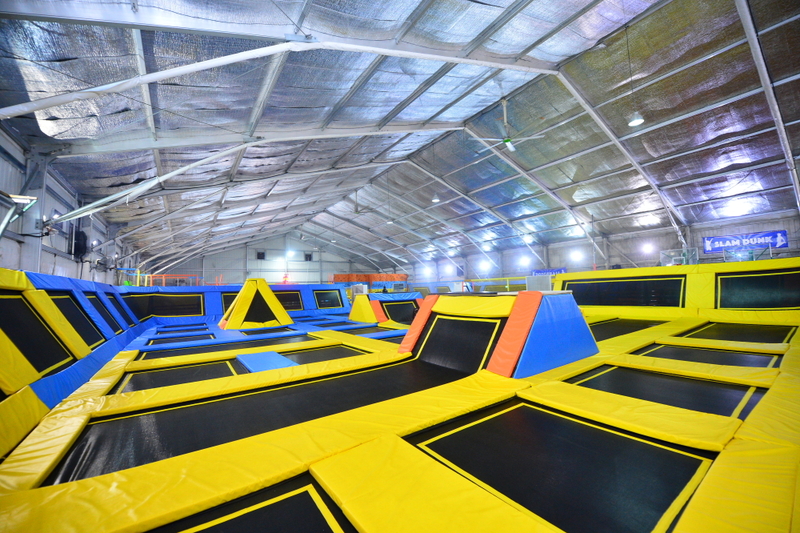 You see, Amped Trampoline Park is home to 35 inter-connected trampolines which cover the floors and line the walls in Yo:ha at Jurong East. More than just for fun, it is also a serious workout—a 10 minute trampoline session supposedly equates to 30 minutes of cardio. Sure-fire way to expend those kids’ energy! WHY KIDS WILL LOVE IT: Jump, Bounce. Jump, Bounce. Jump, Bounce. And repeat. Occasionally, some staff members will conduct impromptu lessons such as the techniques of doing a somersault while in the air as well. All ages are welcomed at the Trampoline Park. 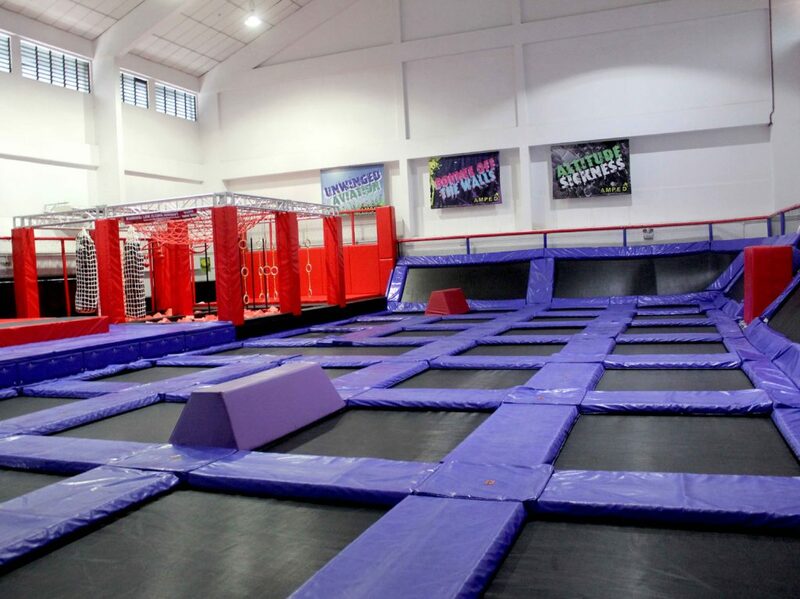 But if you have a younger kid, it may be more suitable to go on a Monday between 3pm and 7pm as the Trampoline Park is only open to those aged 11 years old and below then. There's also a Ninja Warrior Course! This certainly needs no introduction. For fabulous flocking fun, fly down to Jurong Bird Park - Asia’s largest bird park, with a collection of over 5,000 birds from 400 species. Kids will be enamoured by the lories at the world’s largest walk-in lory flight aviary where they will get close and feed 15 colourful lory species, and the impressive Penguin Coast where kids will be kept busy spotting the many species of these flightless birds. Go back in time to the age of the dinosaurs at Gondwanaland and learn more about vintage birds like the Cassowary and Ostrich during their feeding times. You will not want to miss out on the live shows either – witness the heat of the hunt as mighty eagles, falcons and hawks show off their moves during the Kings of the Skies Show, or be part of the flock at the High Flyers Show. WHY KIDS WILL LOVE IT: Become a palaeontologist. Discover the fossils hidden within the sand at the Dino Dig section by letting the kids go on an archeological dig. Found within Chinese Gardens, the Live Turtle and Tortoise Museum is home to more than 200 turtles and tortoises in over 60 different species like the fortune turtle, the gold soft-shell turtle and the ferocious alligator turtle. Tamer turtles roam the compound, so pportunities to pet and feed the animals will never fail to thrill children and adults alike. The Museum is also a showcase of collectibles such as toys, ornaments, tableware and furniture, inspired by these animals. WHY KIDS WILL LOVE IT: Although the area is rather small, the museum provides families the chance to come up close with these fascinating creatures. For $2, you get a bunch of fresh vegetables to feed the hungry reptiles within the garden and that should delight any child. 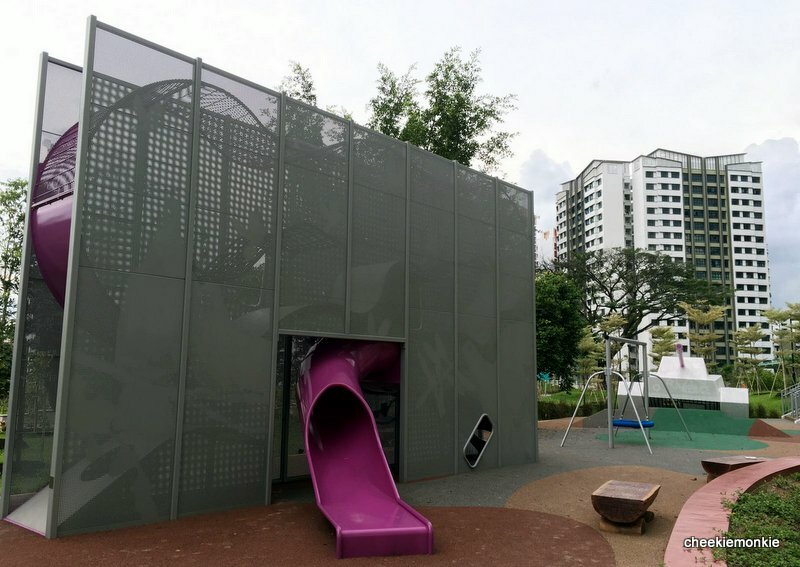 WHY KIDS WILL LOVE IT: The REAL highlight at Let ’Em Play though, is Singapore’s FIRST Augmented Reality Rock Climbing Wall. Currently one of the hottest trends around the world, Augmented Reality (AR) Climbing is the world’s first global gaming platform for climbing walls which projects graphics onto a climbing wall and paired with proprietary body tracking to create a variety of interactive games, like how participants are tasked to climb the wall in order to smash a bat. Price: From $20 (child) for a 90-minute session. Visit HERE for full rates. SAFRA Jurong is unlike other Indoor Playgrounds as it isn’t housed over a sprawling site. 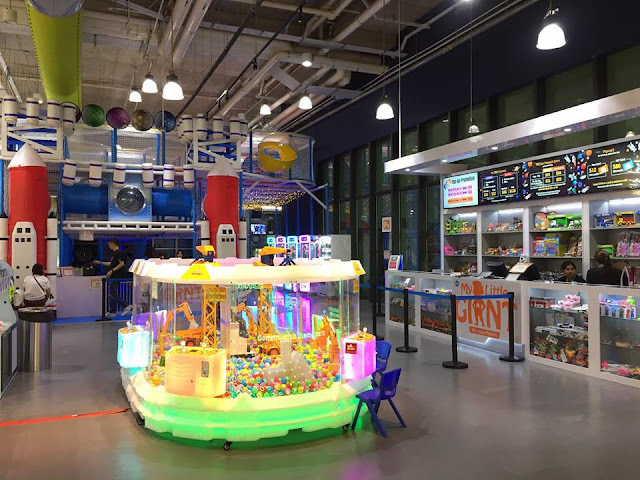 Instead, it is equipped with an iInteractive three-storey play system which features one of the highest indoor spiral slides in Asia and the tallest interactive foam ball arena. The entire arena consists of themed interactive soft play centres which serve to stretch a child's imagination. 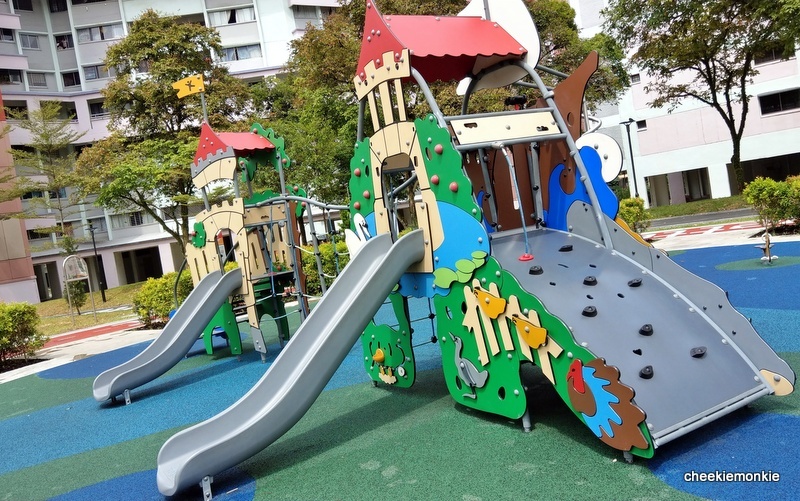 For toddlers, there is also a separate and fully equipped play area with a gated entrance. WHY KIDS WILL LOVE IT: The big, fun and full of challenging obstacles, especially for older kids. Even parents can join in the mayhem, if their oversized bodies can fit through the nooks and crannies of the play structure that is. Opening Hours: 1pm - 7pm (Mon – Thur), 1pm – 9pm (Fri) & 10am – 9pm (Sat, Sun & PH) | Sch Hol (Mon-Fri) 10am - 7pm | Closed for maintenance every last Mon of the month. Price: From $8. For full rates, visit HERE. Singapore’s first permanent indoor snow centre, Snow City offers the perfect chance for families to escape the searing heat and humidity. Stay cool in the snow chamber which features a three-storey high and 60-metres long snow slope for visitors to snow tube! Or build your own snowman or engage in friendly snowball fights while you are at it! WHY KIDS WILL LOVE IT: For those looking for a climb, The Cliff @ Snow City allows kids to try their little hands on the first-of its-kind vertigo climbing wall in Singapore. The wall comprises of 10 climbing lanes of various difficulty levels suitable for Lead and Speed climbing. Take to the ice and make a mark on Singapore's only Olympic-size ice rink. Gain confidence on the ice with skating aids available for kids and adults, and Introductory Lessons offered for beginners. Enjoy an added dimension of fun and entertainment during its exhilarating nights of dance tunes and flashing disco lights every Friday and Saturday nights. WHY KIDS WILL LOVE IT: The Penguin Skating Aid for children below 1.2 metres is available for a rental fee of $10 for 2 hours. This Penguin Skating Aid helps children pick up the basics of ice skating more easily and with confidence, without the fear of falling. Officially opened in October last year at Big Box, My Little Giant is an Indoor Playground AND Arcade Centre all rolled into one. 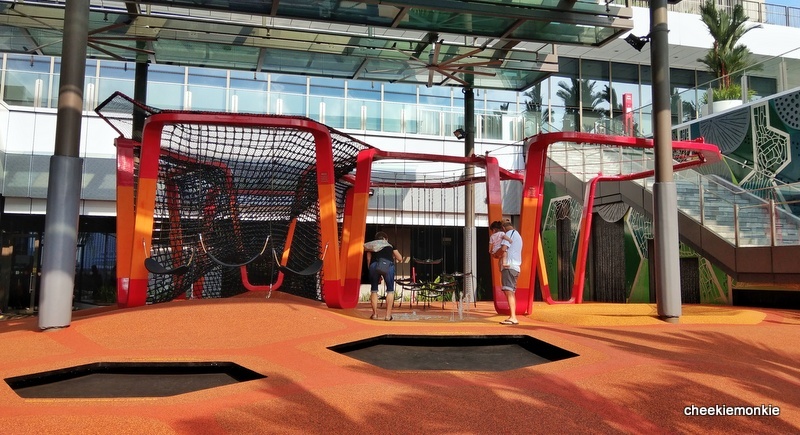 If you have little kiddos, they will love the indoor playground for its 3-storey play area. Think trampoline, shooting area, swings, ball pit and a super fast slide! Older kids will be stuck at the arcade area which is home to game machines and kiddy rides like a carousel and mini-train. WHY KIDS WILL LOVE IT: One fantastic thing about the indoor playground is the admission fee is good for unlimited play for ONE ENTIRE DAY! What this means is you can head out for meals, do your grocery shopping, window shop at JEM & Westgate and then bring the kids back to the playground after that. Definitely worth the admission price! Mon - Thur: Child (3-16) $18 | Child (<3 p="">Fri - Sun, PH & PH Eve: Child (3-16) $25 | Child (<3 p="">*Each child entry comes with free entry for one Adult. Additional adult entry at $4. Located on the premise of HomeTeamNS Bukit Batok, T-Play is the first augmented playground introduced in HomeTeamNS and covers an impressive 4,200 square foot area. 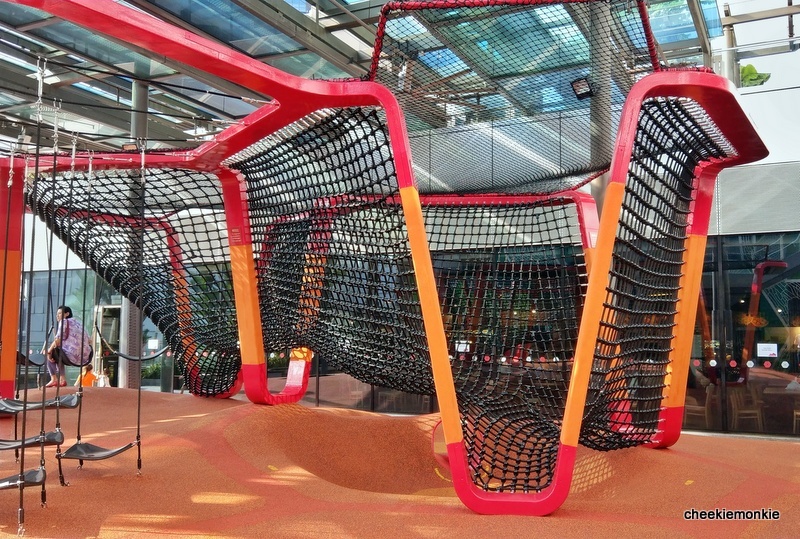 Made entirely in Sweden and assembled in Singapore, the specially crafted kid-friendly indoor playground boasts one of the most interactive transportation-themed playgrounds in Singapore. WHY KIDS WILL LOVE IT: At first glance, the entire playground may look a little small but T-Play has somehow managed to pack in as many fun and challenging play equipment as it possibly could. So there were the usual suspects of crawling tubes and nets, foam obstacles, bridges and tunnels. Oh yes, and a wave slide of course. For younger kids, the toddler area has age-appropriate mini slides, a ball pit, and a separate play area with foam blocks and larger-than life Lego-like stackable blocks designed to train motion coordination. Price: From $4 per 2 hours. View all rates HERE. The new exhibition opened on 15 May 2018 and will last all the way until 28 April 2019 and it is all about "A Wanderful Exploration of New Lands". Kids will be able to navigate and explore Play-ces through various landscapes such as the sea, jungle, city and beyond. Children will experience and engage with their imagination, while thinking about sustainability, innovation and the role of STEAM (Science, Technology, Engineering, Art and Mathematics) in everyday life and the future. WHY KIDS WILL LOVE IT: Interestingly, the indoor playground - if you can call Playeum that - have been transformed into 7 play spaces, each with a different purpose with different opportunities for the kids to explore, experiment and redefine. Whether it is re-imagining play and materials, to conjuring up art works with recyclable materials, kids can stretch their creativity and imagination to the limit! One particular innovative play space is that of Jungaloo, where kids can step out of their urban comfort zone and into nature. Yes, that includes coming into contact with stones, twigs and soil! Built in the 1990s, Pang Sua Pond's main job is to collect rainwater runoff from the surrounding areas before the water is pumped to the Upper Seletar Reservoir for storage and treatment. Under PUB's Active, Beautiful, Clean Waters (ABC Waters) Programme, the pond has been revitalised after a 30-month makeover where the drains, canals and reservoirs have been integrated with the surrounding environment to create beautiful community spaces for all to enjoy. Now, it is home to Singapore’s second largest floating wetland and boasts a boardwalk across the pond. And it is beautiful. WHY KIDS WILL LOVE IT: Located just a 10-minute walk from the Senja LRT station and beside Senja-Cashew Community Club, the pond features a 480m-long elevated boardwalk suspended at a height up to 7m above water, connecting residents to facilities such as the new 3G Wellness Centre and Bukit Panjang Neighbourhood 5 Park. More interestingly, Singapore's second-largest man-made floating wetland system (the largest being Sengkang Floating Wetland in Punggol Reservoir) can be found at Pang Sua Pond. The 63-hectare Dairy Farm Nature Park serves as an alternative recreational venue to Bukit Timah Nature Reserve with two biking trails, with catering to the intermediate level of riding, and the other for beginners who wish to have the thrill of mountain biking. Be sure to end your biking trail at the south-western end of the park where the Singapore Quarry lies. Here, it has been transformed into a wetland habitat and boasts a magnificent view of the quarry. WHY KIDS WILL LOVE IT: For something less relaxing, go on the Wallace Trail at Dairy Farm Nature Park. The 1-km long Trail is a relatively easy trek, taking visitors through a dense forested area which used to house a kampung community. In fact, you can still see signs of past ‘civilisation’ – remnants of walls of houses, and wells. You will also come across a number of little meandering streams with crystal clear water. Kids will have a field day treating their tiny feet to a cool dip, and trying to spot pond skaters skipping on the surface too! Also, be sure to make a stop at the Wallace Education Centre, Singapore’s first field study hub for schools. Located in a restored cow shed, the Centre now houses the Wallace Environmental Learning Lab (WELL), as well as an interpretative centre, where visitors can learn about the changing landscapes of Dairy Farm and Bukit Timah Nature Reserve through various exhibits. Comprising both Chinese and Japanese Gardens on two man-made islands in Jurong Lake, take a pleasant respite from the bustle of the city and admire the Asian-influenced beauty of two gardens. The former stands out for its series of stone bridges, 7-storey pagoda and a tea house, while the latter is outfitted with charming details like wooden bridges, carp ponds, arched bridges over lily-filled ponds, stone lanterns and traditional summer houses. WHY KIDS WILL LOVE IT: Head down towards the water area in Chinese Garden and you will be able to get a closer look at small ‘floating wetlands’. There is an overwater walkway leading to a designated fishing area, offering the perfect place for photos of the lake, complete with views of the pagodas at the Chinese Garden. 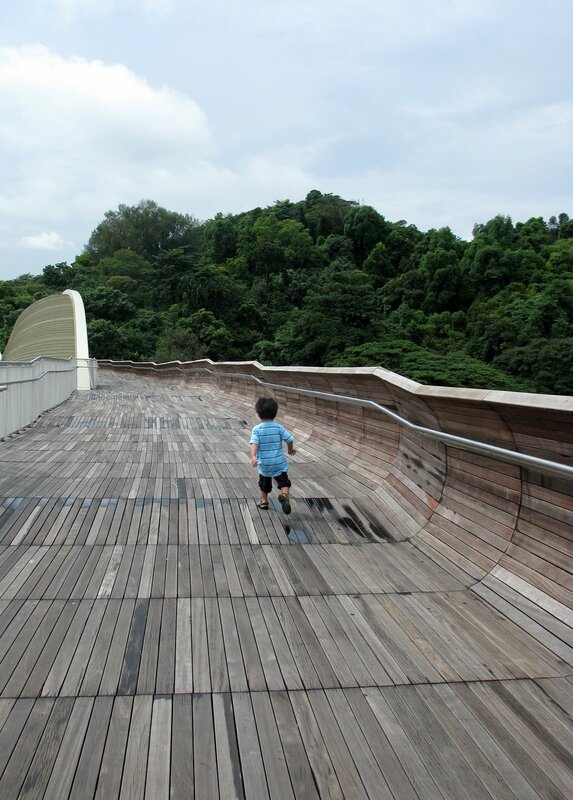 WHY KIDS WILL LOVE IT: For kids, the 330m Bukit Chermin Boardwalk that comes after Berlayer Creek will be the highlight. This elevated boardwalk on sea brings them across the mouth of Berlayer Creek and along the coastal foothill of Bukit Chermin. Take a leisurely stroll along this coastal boardwalk, while enjoying the different views of the expansive waters of Keppel Harbour, the lush greenery of Bukit Chermin hill, and the distant rocky cliffs of Sentosa island. During high tide, the low-lying boardwalk will bring you close to the water surface where schools of fishes can be sighted; while at low tide, you can also spot seagrass beds and different species of crustaceans found on the extensive mudflat. The 36-hectare park offers a 2-hour trail that meanders through a well-established secondary forest and the chance to spot interesting species of trees and shrubs with their fruits and flowers. This park holds some historical significance as it was once mined for granite but the quarry has since become a large reflecting pool. Climb the look-out points that reach more than 10 storeys high for stunning views of the quarry and do not forget to stop by the park’s entrance to marvel at the picturesque pond that lies at the foot of a high cliff wall. WHY KIDS WILL LOVE IT: The trail also takes you to a war memorial at the top of the hill. Formerly the site of two war memorials built by the Japanese to honour their dead soldiers, these memorials have since been destroyed, with the only remains being two pillars and 120 concrete steps leading to a transmission tower. A plaque has been placed at the foot of the stairs to remind visitors of the significance of this historical site. Just a stone's throw away from Thow Kwang is Jurong Eco-Garden, the 'green lungs' of CleanTech Park and Singapore’s first freshwater swamp forest located within an industrial park. If we had not visited Thow Kwang, we would not have discovered this gem of a find. Simply because the Eco-Garden has an amazing variety of wildlife and nature and is home to many birds, dragonflies, butterflies and insects. Spread over four areas - Summit Forest, Wildlife Corridor, Stream Ravine and Freshwater Swamp Forest - the 5-hectare park intersperse building parcels seamlessly with green spaces. WHY KIDS WILL LOVE IT: One interesting station to visit is the Composting Station which features the processes how horticulture waste are converted into resources. If you are planning to expose nature to the kids minus the crowds, Jurong Eco-Garden will be your best bet! WHY KIDS WILL LOVE IT: If you are planning to bring the kids for their first taste of hiking, great news - the hiking trail is slightly undulating and pretty straightforward. 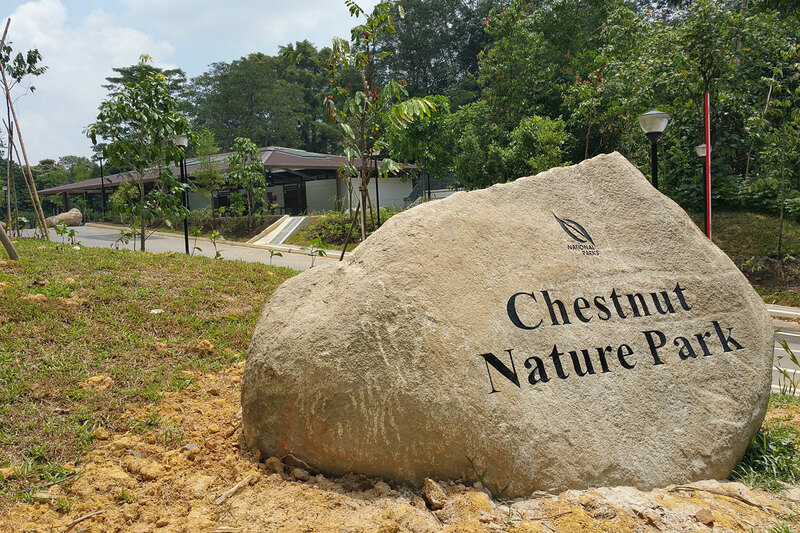 Chestnut Nature Park (South) has a 2.1km hiking trail, while Chestnut Nature Park (North) has a 3.5km hiking trail. Click HERE to download the southern hiking trail and HERE for the northern hiking trail. 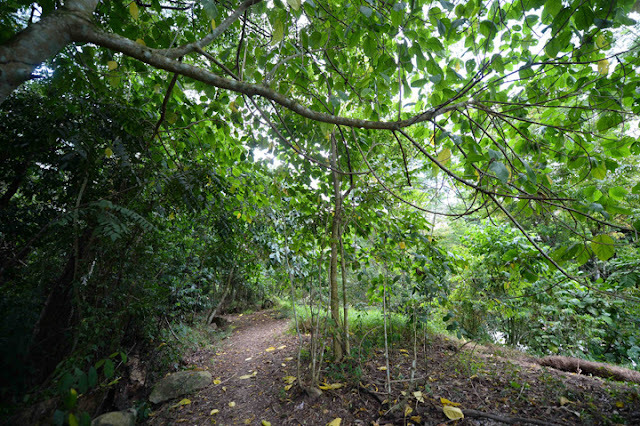 Go on a hike in the great outdoors and enjoy the serenity on offer at the Southern Ridges. Comprising 10 km of hill trails that connect Mount Faber Park, Telok Blangah Hill Park, HortPark, Kent Ridge Park and Labrador Nature Reserve, these ridges are one of the best spots in Singapore to enjoy panoramic views of the city, harbour and the Southern Islands. If you have time, head for the Forest Walk and Canopy Walk – bridges cutting through the Adinandra Belukar, a distinct type of secondary forest and capture the rich variety of flora and fauna on display. 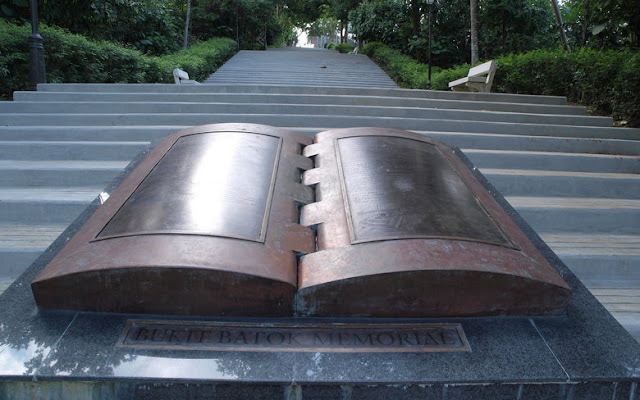 WHY KIDS WILL LOVE IT: Henderson Waves, a structure not to be missed, connects Mount Faber Park to Telok Blangah Hill Park. Standing 36 metres above Henderson Road, it is the highest pedestrian bridge in Singapore, and is best known for its distinctive wave-like structure consisting of a series of undulating curved 'ribs'. Part of the Southern Ridges, the Hort Park is packed with so many activities that it deserves a mention on its own! 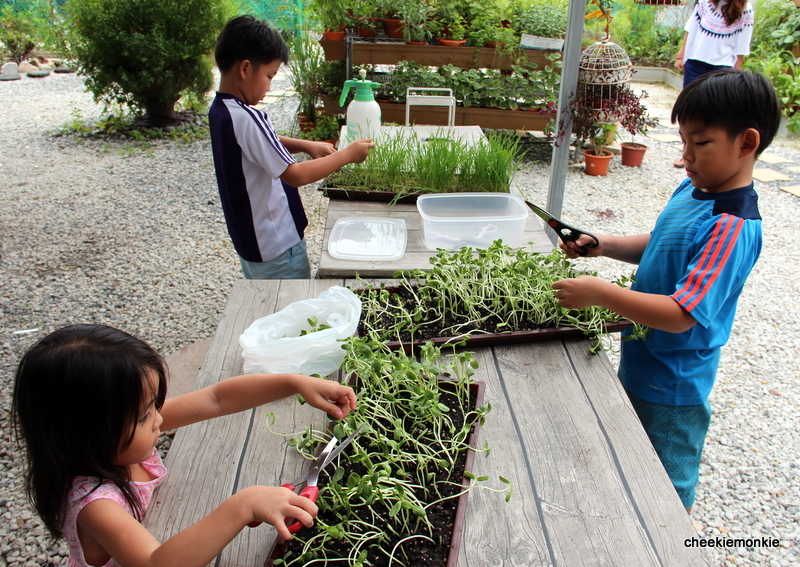 Dubbed the “Gardening Hub” of Singapore, this is the place to go when it comes to encouraging a green thumb amongst kids. Not only is it a one-stop gardening resource centre, it is also a knowledge centre for plants and gardening, providing planting ideas and solutions. WHY KIDS WILL LOVE IT: Featuring themed gardens and greenhouses, there are also playgrounds – one is a sand pit and the other on rubber mats – to keep kids duly entertained. Keep a lookout for Hort Park’s quarterly event - Gardeners' Day Out, a day that provides interactive and fun-filled gardening activities such as vegetable-harvesting, nature story-telling and craft workshops for families. Located near the Lim Chu Kang area, Murai Farmway consists mainly of foreign worker dormitories, Chew's Agriculture Pte Ltd (yes, the one who produces fresh eggs), a plant nursery and an organic farm. The latter is Quan Fa Organic Farm, which has grown from humble beginnings of a small organic vegetable retailer to one of the leading distributors in Singapore today. Free of pesticides, chemicals and fertilizers, this family-run farm grows all sorts of fruits and vegetables including pumpkins and brinjals. If you fancy bringing back home some fresh produce, the farm also has a little air-conditioned shop to stock up on the greens. WHY KIDS WILL LOVE IT: Its doors are open to public and the farm welcomes everyone to take a peek around. In addition, they also organise educational farm tours for groups (min. 20 pax). Visit HERE for more details on various packages. Located nearby is a plant nursery named Koon Lee Nursery, which sells a range of plants as well as gardening and landscaping supplies. The nursery is pretty huge so if you are looking to purchase some flowers and plants, chances are you will not be disappointed. WHY KIDS WILL LOVE IT: The highlight for the kids has got to be the chance to grow their own vegetables on the vertical farming system! Rows of farming racks are available for rent. Visitors can rent 20 trays of compost _ slotted into a rack - for $50 a month (min. rental for 3 months). What’s more, 40% of the rent goes to a fund for students from low-income families. Just plant the seeds and return weeks later to harvest. Farming has never been easier… or more fun! An award-winning ornamental fish farm, Qian Hu breeds 200 species of fish including endangered and high value ornamental fish such as the South American catfish and the Dragon Fish (Arowana). Kids can even try their hands Longkang fishing at the Agro-Education Centre. For a small fee, they can catch as many small fish as they can in 30 minutes. For younger visitors, parents will be able to purchase food pellets for them to feed the fishes in a pond. WHY KIDS WILL LOVE IT: Even if you are not intending to buy any fishes, take a walk through the Tropical Fish Retail Area where plenty of fishes are displayed for sale. The names and prices of the fish are clearly labelled on each of the display tanks which are placed low to the floor so that the little ones can look at the fishes too. If the East Coast is the King of sandy beaches & cool sea breeze, then the West Coast Park must be the King of playgrounds. It has about SEVEN different types of play areas which cater to different age groups - from the toddlers to even teenagers. And standing at the core of the park is the Adventure Play Area with a giant spiderweb-like structure that allows kids (and adults) to scamper up to dizzying heights. The little ones do not get left out too - there are two non-sand areas which cater to the youngest of toddlers. 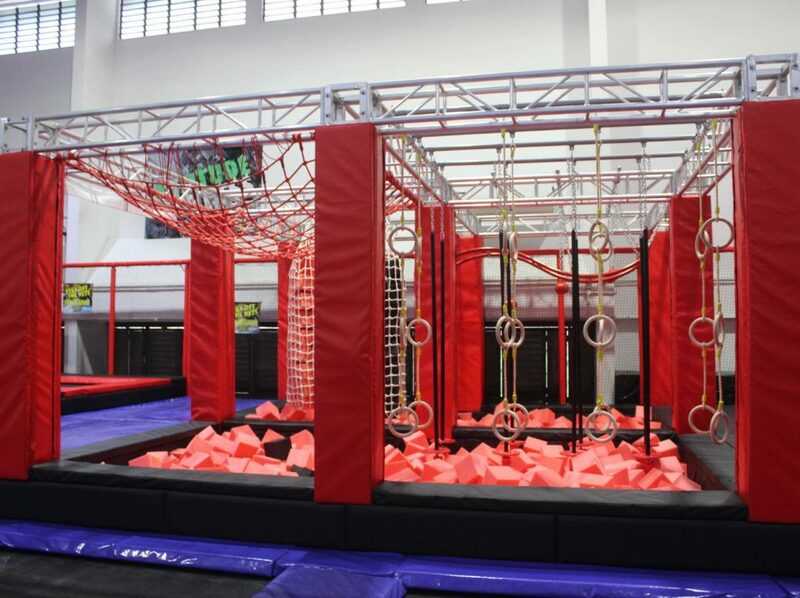 WHY KIDS WILL LOVE IT: Scampering up the giant spiderweb-like structure is a no-brainer but there’s more – the Ninja Warrior-inspired obstacle courses and Flying Fox installations are a hit with any one seeking to challenge one’s agility. WHY KIDS WILL LOVE IT: Snakes and Ladders playground which combined a board game with physical activity. 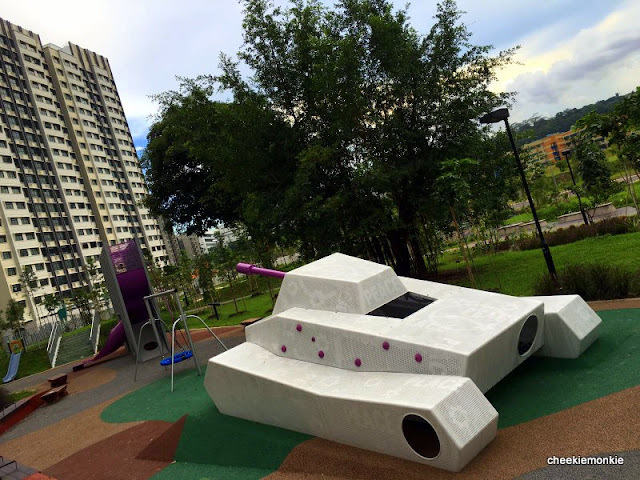 Sembawang has the Battleship play structure and now, Choa Chu Kang has its own Tank play structure. I can already foresee plenty of kids clambering on the tank to play! Internally, the tank has rope nettings within to encourage even more climbing and scurrying, something which I think kids will never say no to. WHY KIDS WILL LOVE IT: It also is home to a Vertical Playground which looks entirely different from the rest of the other public ones. 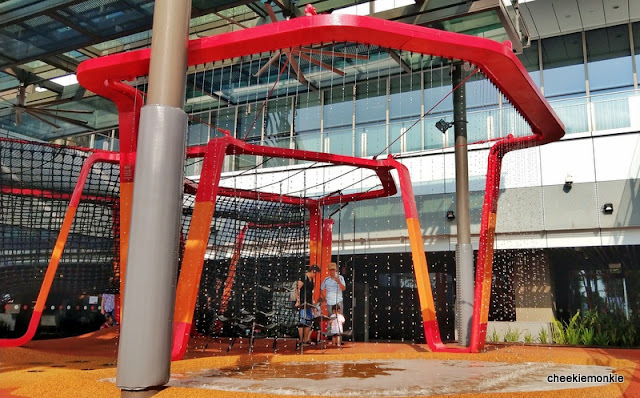 While the rest are encased in see-through grills, this new playground is covered with grey metal meshing and sports a colour different from the usual orange. The playground also has a swing netting, as well as a play area for younger children. The military theme continues in Choa Chu Kang with the eye-catching play structure in the form of a bright green army truck. Kids will be able to clamber onto the truck and get into the driver's seat or scamper to the back of the truck where a green slide awaits. WHY KIDS WILL LOVE IT: The other highlight at the playground is the lookout tower which pays homage to the military lookout posts of yesteryear. Kids will be able to climb up via the rope ladder or rock wall, and whizz themselves down the fireman pole. It is pretty high though, so a huge dose of adrenaline rush is guaranteed. There are the usual see-saws and mini play structures for younger kids as well. WHY KIDS WILL LOVE IT: For starters, kids will not be disappointed as there are a total of THREE playgrounds to choose from! The ever-popular Vertical Playground is here, in all its cheery yellow glory... and with a slight twist too. Kids will be able to climb up to the top of the structure and descend quickly via a tube slide. WHY KIDS WILL LOVE IT: Flowers that respond to touch with musical sounds and lights are just but one of the many interactive elements found in the playground. Older kids can scale a 10-metre high tree house and come whizzing down via a meandering tube slide. At the heart of the water play area, a large watering can with an active spray nozzle towers over the children, making all them drenched and deliriously happy. Mini water fountains are also planted all around, increasing the splashing fun factor. The playground Jem Shopping Mall at Jurong East Central was closed for upgrading works and good news, it has re-opened! And even better news, it looks much MORE fun than the previous version! Inspired by honeycombs, the sheltered outdoor playground is located on Level 5 and just outside of the foodcourt. WHY KIDS WILL LOVE IT: Taking centrestage is the huge web canopy, where kids can climb to their hearts' content. A trip to the Science Centre almost always starts or ends with the kids lingering around the Kinetic Gardens. It is a great free place to spend an hour or two exploring and enjoying the many educational structures which demonstrates certain scientific priciples and phenomena. Not only is the Garden expansive and filled with plenty of hands-on structures, there are clear signs describing each of their functions. Best of all, everything is FREE! WHY KIDS WILL LOVE IT: Kids can discover the inter-relationships between the different forms of energy and much more through interactive and interesting exhibits like the Magic Swing, a Sundial and a Lithophone. Don't forget to enjoy the water maze too, where the kiddos can learn about kinetic energy while watching the water sculptures. 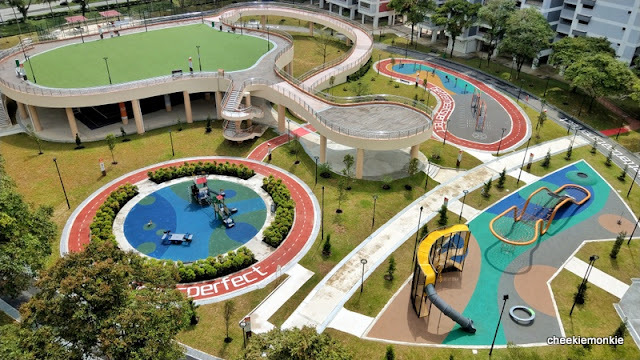 WHY KIDS WILL LOVE IT: Comprising of 5 playgrounds - a Rope Bridge Playground included - the park also hides the bonus of a Water Terrace and Skate Park! WHY KIDS WILL LOVE IT: The playground is situated some distance behind Block 248 Bangkit Road, and it adopts a more rugged theme with climbing structures and slides to keep the little ones happy. In addition, the entire playground is built on a huge sandbox for children to engage in imaginative play. 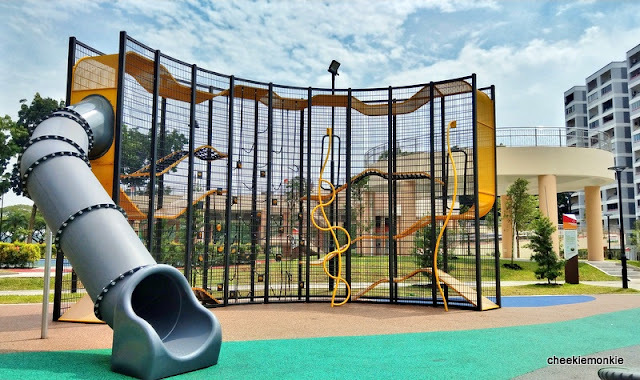 WHY KIDS WILL LOVE IT: The play structure has a tall slide, complete with a high walkway which children will relish in climbing up. Add a cool obstacle course and mini rock climbing wall to the mix and the kids will pretty much play themselves silly. Oh and do I spy a set of old-school swings too? Built by Burmese Chinese entrepreneur and philanthropist Aw Boon Haw for his brother Boon Par in 1937, Haw Par Villa is one of a few places in Singapore where families can visit and spend time with family while learning about Chinese and Asian values and beliefs. This Chinese mythological theme park - if it can be called one - contains over 1,000 statues and 150 giant tableaux centered around Chinese folklore, legends, history, and Confucian ideology which makes for an interesting day out for the kids. WHY KIDS WILL LOVE IT: Haw Par Villa is divided into several areas, with each portraying stories and folklore based on famous Chinese mythological personalities, deities and legends. From the ‘Eight Immortals’, to ‘Jigong’, 'Journey to the West,', or 'Madam White Snake' - the diversity of exhibits at Haw Par Villa is mind-boggling and will be sure to fascinate the little ones. Here’s a tip – be sure to bring along a skate scooter as there is quite a fair bit of ground to cover. WHY KIDS WILL LOVE IT: While the Dragon Kiln is certainly a draw, the hands-on pottery sessions will be a hit with the kids. They would love creating pots on clay-wheels during the session before burning the pots in the kiln. Sessions are typically conducted during weekends and public holidays. More details on its Facebook page HERE. Take in the sights, sounds and of course smells at the Jurong Fishery Port where it really comes alive after midnight when all the fishing vessels start to unload their day's catch. Just the sight of so many different types of fishes and how the auction of fishes are done should be enough to offset the lack of sleep. WHY KIDS WILL LOVE IT: Fishing vessels and fish reefer boats calling at JFP usually unload their catch between 11pm and 2am for wholesale through the fish merchants so do head down at that time to catch the fervent action! Let the littlies stay up late and look for stars at the Omni Theatre’s Star Gazing Sessions. Best of all, it is all free! 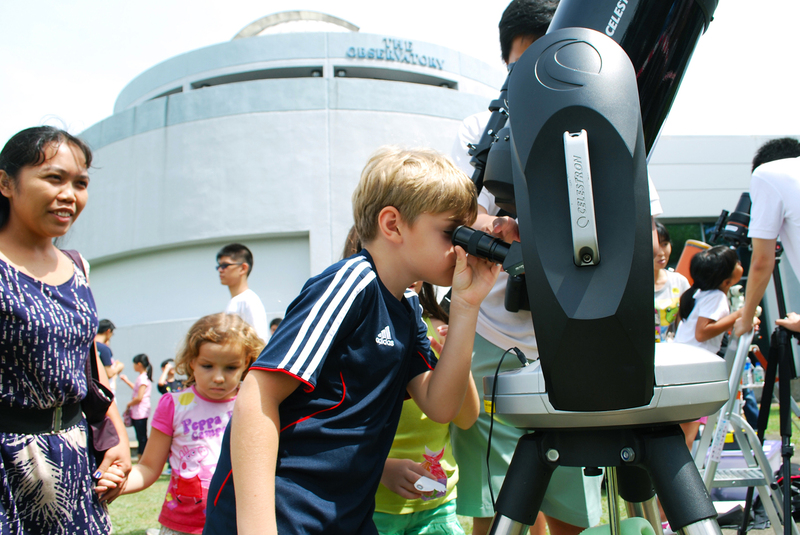 Kids will get the chance to look at the stars (and the moon!) through a series of telescopes at the Observatory. The Observatory is one of the few in the world that is located next to the Equator. This unique position opens up more vistas in the sky and allows visitors to view constellations in both the northern and southern celestial hemispheres. WHY KIDS WILL LOVE IT: Essentially, the main activity is to take turns looking through the telescopes at various objects visible in the sky. Science Centre staff will be on duty to operate the telescopes, give explanations and point out objects in the sky – and try to spot at least one of the four brightest planets; Venus, Jupiter, Saturn and Mars. A 10-minute trek up the hill from the base at Jurong Bird Park and it will bring you to Jurong Hill Park... perfect if you wish to get away from bustle of city life for a short while. 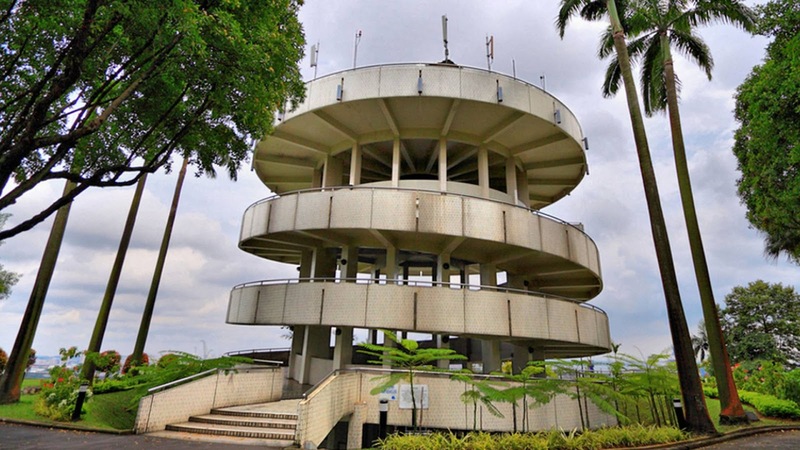 Its main feature is a three-storey spiral tower - the Jurong Hill Lookout Tower, which was developed in the early 1970s at a cost of more than $100,000. It was touted to be a “futuristic spiral tower” offering a “panoramic view of the entire industrial estate” from the viewing platform. 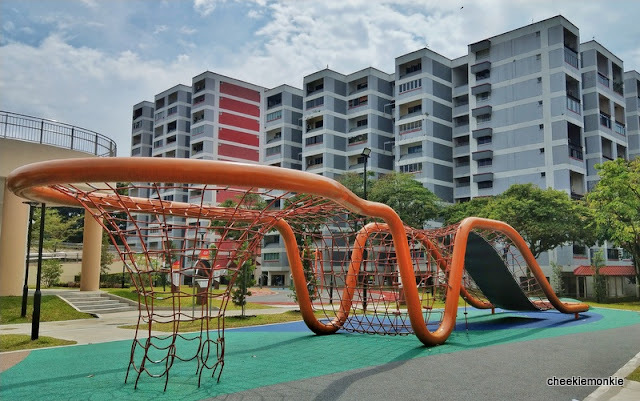 WHY KIDS WILL LOVE IT: Kids will be able to run up the spiral tower for stunning views of the surrounding industrial towns, Jurong Port and Jurong Island. And once they hit the ground, head to the Garden of Fame which is home to 27 trees planted by dignitaries who visited in the 1970s, including the reigning Queen of England and her consort, Prince Philip, the Duke of Edinburgh. Okay, so this doesn't really count as an attraction or activity for kids but a) I say it does and b) I make the rules around here. Because when it comes to Decathlon, the kids somehow simply love shopping there. And even if we usually do not intend to buy anything, we almost always end up buying something! And the brand new outlet at Fairprice Hub in Joo Koon is Decathlon's largest megastore in Singapore yet. WHY KIDS WILL LOVE IT: Kids love walking down the aisles and aisles of sporting products but most importantly, they enjoy trying out the various sporting equipment on display. In fact, the new store includes 10 experience zones - some of which are absent in the other 2 stores in Bedok and City Square Mall. SO WHO SAYS THE WEST ISN'T COOL??? As Singapore’s largest indoor trampoline park located in the west side of Singapore, Zoom Park is home to 2 dodgeball courts, a 4-lane foam pit, 3 basketball slam dunk lanes, 3 long tumble tracks and a spacious main court. For those looking for more adventure and challenge, there is also a 17m lateral rock wall and high performance mats. WHY KIDS WILL LOVE IT: Zoom Kids happen on certain days of the week where certain sections of the Trampoline Park are rerserved just for the little ones. They can jump, bounce and crawl around with their friends and parent partner! The sessions take place every Tuesday, Thursday, Friday (10am to 3pm) and Saturday, Sunday (9am to 1pm). Price: From $15 for 1 hour. Visit HERE for full rates. 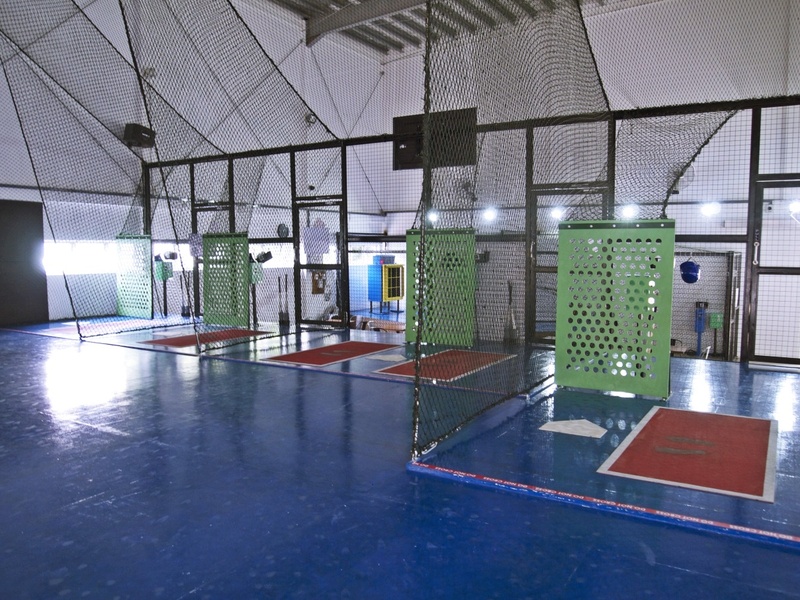 Homerun Baseball is Singapore’s first ever indoor baseball arena, and features four batting lanes calibrated to different pitch speeds, plus a pitching lane. The machines work on a conveyor belt system, which saves you the extra effort of running and picking up after them. You get 20 tokens for $6 with one token needed per play - 15 balls for batting lanes or 12 balls for pitcher lane for each play. 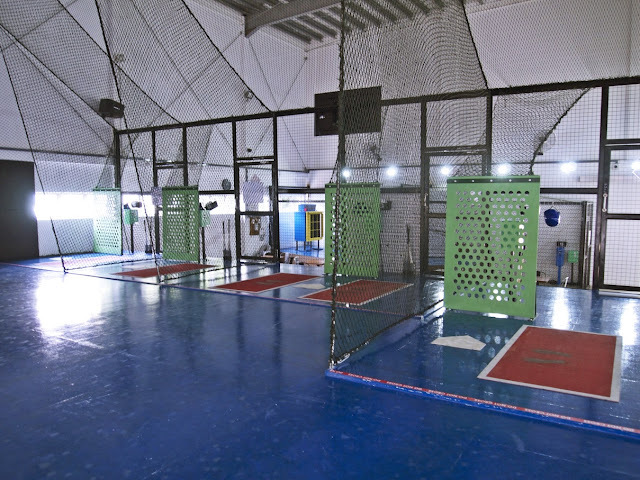 WHY KIDS WILL LOVE IT: Nothing quite like trying your hand at baseball and batting away! Do note that the minimum height requirement to play is 1.2m. Farmart Centre houses a collection of shops, a farmers’ market, petting zoo and food outlets serving local fare. On weekends, get up close to farm animals such as goats, bull frogs, tortoises, rabbits, birds, fishes & hamsters at its Weekend Animal Farm Corner. 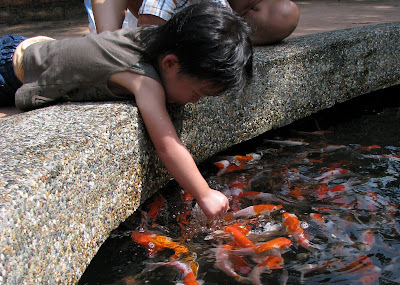 Kids are welcomed to feed the farm animals as well as the koi in the Koi Pond. WHY KIDS WILL LOVE IT: Do not miss out on Uncle William’s Farm Tours! Affectionately known as ‘The Quail Man of Lim Chu Kang’, hear Uncle William share his passion in Quail Farming and also other interesting facts and knowledge about farming in Singapore. Visit farmart.com.sg/farm-tours/ for Uncle William’s Farm Tours schedule.